A year after Finance Minister Jim Flaherty tightened mortgage rules to not allow insured mortgages with amortization terms of more than 25 years, many prospective buyers say they are waiting longer to buy their first home, a survey by Pollara for BMO Bank of Montreal suggests. Some first-time buyers are waiting longer to get into the market, especially in British Columbia. A year after Finance Minister Jim Flaherty tightened mortgage rules to not allow insured mortgages with amortization terms of more than 25 years, many prospective buyers say they are waiting longer to buy their first home. About 19 per cent said they would wait longer to buy, a survey by Pollara for BMO Bank of Montreal showed. In June 2012, Flaherty laid out rules aimed at reining in a hot housing market and ensuring Canadians aren't taking on more debt than they can afford. The rules went into effect July 9, 2012. First-time homebuyers were expected to be the most affected by the new rules, which included reducing the maximum amortization period for a government-insured mortgage from 30 to 25 years, and also dropping the upper limit that Canadians could borrow against their home equity from 85 per cent to 80 per cent. A year later, about 66 per cent of buyers said the changes had not affected their timeline on buying a first home, according to a survey by BMO Bank of Montreal. But first-time buyers in B.C., where Vancouver prices were considered particularly overheated, were most likely (33 per cent) to say they would wait longer to buy their first home. That compares to 11 per cent of Ontario buyers, 25 per cent in the Prairies and 28 per cent in Atlantic Canada. Pollara conducted online interviews with a random sample of 2,000 Canadians 18 years of age and over, between Feb. 25 and March 5 and the results are considered accurate within 2.2 percentage points, 19 times out of 20. "The main concern with most buyers is getting a downpayment," said Laura Parsons, a mortgage specialist with BMO. "Many people who think they cannot afford a downpayment [now at least 20 per cent of the cost of the house], now are reconsidering and finding that they can." Parsons says people will strategize to maximize their savings and that helps give them the discipline to carry a mortgage, though they may have to wait longer. The tighter rules have led to a plunge in home sales over the past year, with prices slower to react. As June real estate sales trickle in, it appears that housing sales are recovering. Most analysts believe Flaherty has been successful in averting a crash with his new rules for home buyers. 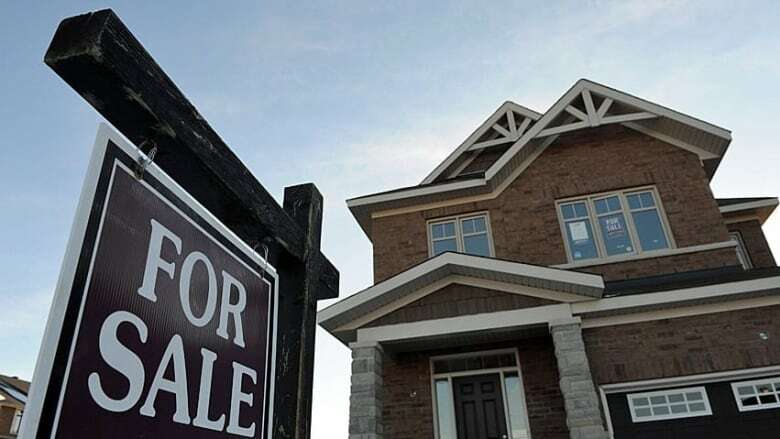 "While Canadian home sales weakened markedly at the time of the mortgage changes a year ago, they have since stabilized and have even partially recovered in recent months," said Doug Porter, chief economist for BMO Capital Markets. BMO’s survey found the average amount first-time Canada homebuyers plan to spend is approximately $300,000, with an average down payment amount of $48,000 or 16 per cent. In Vancouver, the real estate board reported the number of houses sold rose 12 per cent in the past year, though sales were still down 22 per cent from the 10-year sales average. In Toronto, sales in June were down by less than one per cent from a year earlier, while the average selling price rose 4.7 per cent to $531,374. Dianne Usher, Toronto Real Estate Board president, predicted renewed growth for the second half of the year, saying homebuyers who had put their purchase on hold due to stricter lending guidelines were now actively looking for homes. Robert Kavcic, senior economist with BMO Capital Markets, said he believed the impact of the rule changes has finished working its way through the market. "In terms of affordability, it's the same as an increase in mortgage rates," he said. "People who were just scraping by with a 30-year amortization will not be entering the market." Statistics Canada also reported today that building permits increased in value by 4.5 per cent in May, compared to April 2013, continuing a rising trend begun in January. A TD research report in June said home sales and the pace of construction are now more in line with historical performances. Flaherty’s tightening of mortgage rules was expected to have impact for only six to nine months, as the markets adjust to the new standards, TD said.